Our clients come to us because they want to get quality internet traffic which converts into new customers. Just in case you’re still not convinced of our capabilities, here is an example of our achievement with one of our clients. 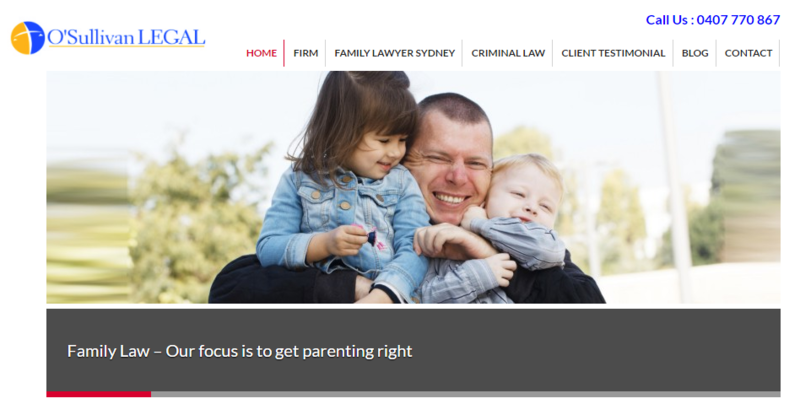 O’Sullivan Legal is a top law firm in Sydney and has been in operation for over 14 years. They are primarily focused on family and criminal law. It is their priority to always ensure the client comes first. They provide superior expert advice to all their clients and are also very results driven. From the beginning of our SEO services (September 2015), the company’s priority was to increase the number of visitors and grow internet visibility. To meet their expectations, we implemented the following SEO Strategy. 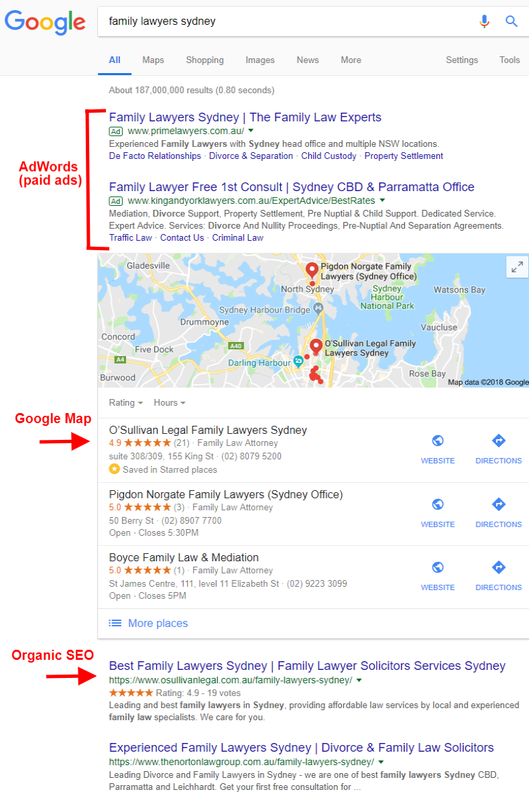 After analysing the domain osullivanlegal.com.au, we diagnosed an unnatural number of malicious links that may have been disrupting the normal course of positioning. The team took the decision to submit a report with all the harmful links to Google and start quality and natural link-building activities according to Googles guidance. Choosing keywords is an extremely important step in search engine optimisation. Careful and accurate selection of keywords determines the success of your SEO campaign. We then analysed all the selected keywords in terms of their effectiveness and competitiveness. Based on the above steps, we selected the best keywords to achieve top SEO results. We also selected some low/medium competitive and “long-tail” keywords which had a low search volume in Google. These keywords are ideal for users who search for a specific product of service and are more likely to become a customer. That’s why long-tail keywords allow for much higher conversation than generic phrases. We also selected highly competitive terms to increase interest of potential customers from all locations within Australia. In total, we selected 40 search phrases for their SEO Campaign. After site optimisation, our goal was to display the website on the internet. In order to do so, we started link-building activities. Link (backlinks) were created on highly reputable websites, yielding fast results. After around one month, the websites ranking had improved significantly. 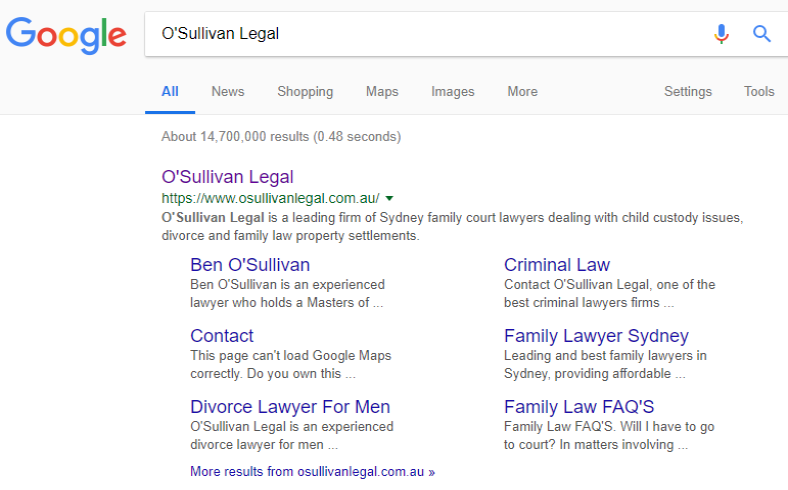 Osullivanlegal.com.au can be found on the first page of Google now with over 50 keywords. ARE YOU READY TO INCREASE THE INTERNET TRAFFIC TO YOUR WEBSITE?